While at a writing program last summer, I ran into a lot of people with wicked-awesome taste in music. Amongst the many music-fueled conversations that occurred over those three weeks, Atmosphere, a white boy hip-hop duo from Minnesota, came up a lot. With this, followed the always-annoying debate of “real” vs. “fake” hip-hop. While arguments of this nature are usually nonsensical, and utilize a whole ton of circular reasoning, I have come to think of “fake” hip-hop as anything that sounds like Soulja Boy. I was pretty shocked when one person claimed that Atmosphere is fake. How? I pointed out that they have great beats, awesome rhymes, Slug (who has a pretty sick flow), and rely fairly little on samples, preferring to really make their own music. While I never got a straight answer on why Atmosphere isn’t “real,” I was presented with some purportedly “legit” hip-hop artists. Names like Tupac, Biggie, and Dr. Dre were dropped, as I was left fairly confused. 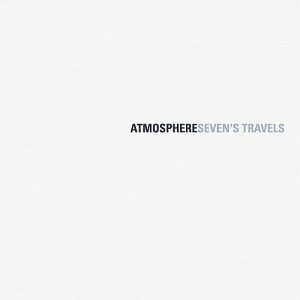 One listen to Atmosphere’s Seven’s Travels should convince anyone that these guys are just as “real” as any other act. I was also told that Aesop Rock is “fake” during this program, so I definitely think that race is involved. That’s a whole other entry, so I won’t go into it here. But what do those “real” rappers do? Rhyme about their lives and problems, for the most part. Sure, while Atmosphere does have their fair share of commentary of every nature, there’s plenty of life-venting on everything I’ve heard by them. Haters are bound to hate, I guess.